Prompted by the lack of record keeping in dealings with 38 Studios, the Rhode Island agency will track interactions with businesses. Rhode Island does not want a repeat of the 38 Studios $75 million loan guarantee deal. The Rhode Island Economic Development Corporation will implement software for tracking any interactions between the agency and businesses. The tracking software will also provide information on demand and create a database of companies with whom the agency is working. The system is expected to cost $85,000, according to the Providence Journal, and the agency has hired a Maryland consulting business to implement a management system. The system will be called Salesforce. Details on the system have not been disclosed. John C. Simmons, executive director of the Rhode Island Public Expenditure Council, noted the EDC had no tracking system and needs to use one to inform the agency's next step in assisting any company. The EDC failed to properly track its dealings with former Red Sox pitcher Curt Schilling and his company 38 Studios in which the company accepted loan guarantees for relocating to Rhode Island from Massachusetts. The EDC sought to bring the game studio to Rhode Island to spur on state economic growth. Instead the state now owes an estimated $100 million to $110 million. 38 Studios released only one game, Kingdoms of Amalur: Reckoning, which did note sell nearly enough to pay the money it owed to the state. 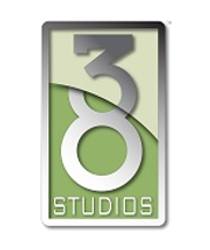 38 Studios defaulted on the loan and declared bankruptcy in 2012. The state sued Schilling and some former members of the EDC. Oral arguments in the case against Schilling begin this week.